Our sixteenth president is known for many things: he delivered the Emancipation Proclamation and the Gettysburg Address. He was tall and skinny and notoriously stern-looking. And he also had some very strong ideas about abolishing slavery, ideas which brought him into close contact with another very visible public figure: Frederick Douglass. Douglass was born a slave but escaped in 1838 and became one of the central figures in the American abolitionist movement. This book offers a glimpse into the unusual friendship between two great American leaders. 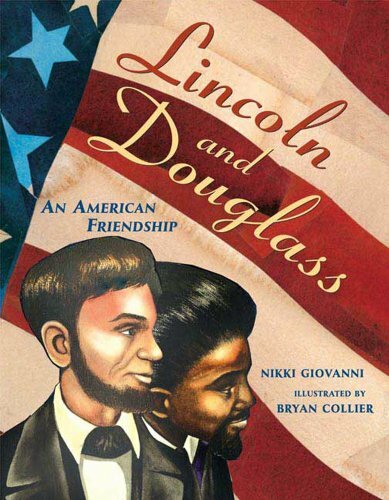 At a time when racial tensions were high and racial equality was not yet established, Lincoln and Douglass formed a strong bond over shared ideals and worked alongside each other for a common goal. The acclaimed team behind "Rosa," winner of the Coretta Scott King Award and a Caldecott Honor book, join forces once more to portray this historic friendship at a unique moment in time.